Bankruptcy, trust and estate matters are intensely personal and emotional. Some believe bankruptcy carries with it a stigma of shame and failure. Not so. Bankruptcy laws offer the client a fresh start when things go in unexpected and unfortunate directions. Each bankruptcy case is vastly different from the last and from the next. It may seem all too easy to fill in a bankruptcy petition or buy a trust or will online. But the documents are not the service. 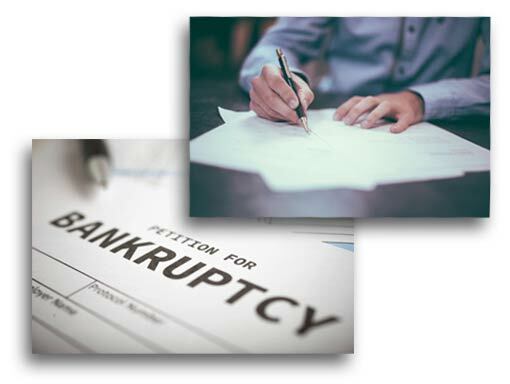 Bankruptcy is much more than filling in forms and getting a discharge. Bankruptcy, litigation and estate planning are mostly about choosing, planning, thinking, and using strategy. No one likes to think about estate planning and trusts. But like many forms of insurance, estate planning is a must. If you don’t plan, the California legislature determines how your property is distributed, NOT you. If an estate tax remains on the books, you will have made no inroads toward avoiding or minimizing the extent to which your estate is subject to the tax. At Fleischer & Ravreby, Steven K. Brumer’s is our go-to attorney for areas such as estate planning, probate, trust administration, and bankruptcy. The emotionally charged situations of these topics require an attorney with the heart of a counselor and the precision of a surgeon. With a background in psychology, experience in business and litigation, and the education and expertise to navigate the legal complexities of these topics, Steven K. Brumer is the best attorney to handle your case. Steven K. Brumer is one of a handful of attorneys in San Diego to have earned the prestigious LL.M. degree in Taxation from the University of San Diego School of Law. In short, he possesses the expertise and experience to help you take control of your bankruptcy, trust and estate situations.